Colorado's colleges and universities attract some of the brightest minds in the world. With nearly 100 schools and a variety of programs and degree types, the state's institutions of higher education offer something for everybody. Amidst all of those choices, it's important that students can evaluate and differentiate programs, and find the right school for their educational needs and interests. 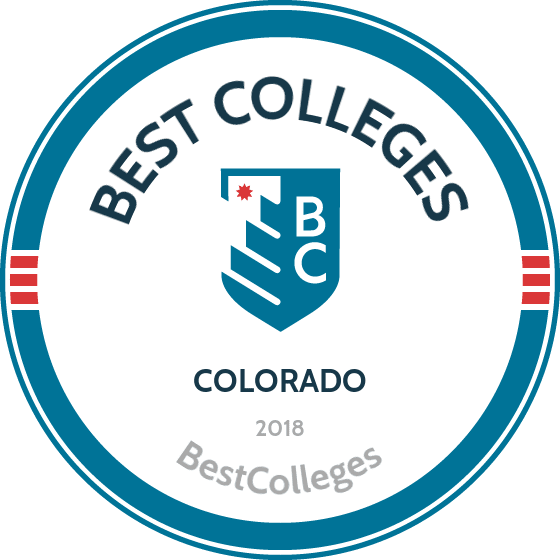 Fortunately, we have applied our rigorous methodology to the latest education data to rank the best colleges in Colorado, including the top four-year and two-year schools. Many of the four-year colleges and universities in Colorado are nationally renowned for their competitive programs and diverse program offerings. Students in the state attend some of the world's prestigious research universities and selective liberal arts colleges. New students can expect rigorous classes, quality programs and an education that prepares them for the professional world: according to Higher Ed Info, degree holders in Colorado make over $10,000 per year more on average than those with a high school diploma. Recent initiatives have made attending school more affordable than before and now is an ideal time to pursue a bachelor's degree. Read on to learn more about the top four-year colleges in Colorado. CC, a liberal arts institution located in Colorado Springs, follows a unique Block Plan of academic classes to coincide with the state's year-round education schedules. The college offers more than 50 majors and minors across dozens of academic study areas. East Asian languages, geology, and feminist and gender studies are among the most unique programs offered to CC's tight-knit student community. Students must complete a two-block first-year experience before declaring a major, then complete a 32-block sequence toward graduation. Blocks last three-and-a-half weeks and students only take one class per block. CC offers pre-professional programs in health professions, law, and engineering. The school is one of the most renowned colleges in Colorado, awarding eight Fulbright scholarships between 2011 and 2016. Prominent alumni of CC include Lori Garver, deputy administrator of NASA, and Ken Salazar, former Colorado senator and former secretary of the interior under the Obama administration. Campus activities encompass more than 100 student organizations and varsity and club sports. Located in Boulder, UC is among only 34 public research institutions in the nation to earn the Association of American Universities (AAU) distinction. (UC-Boulder is the only Rocky-Mountain-region Colorado college in the AAU.) The university offers more than 90 degree programs and over 3,800 courses across nine colleges and schools. Majors range from aerospace engineering and ceramics to environmental law. UC-Boulder's esteemed faculty includes eight MacArthur fellows and five Nobel laureates, among other distinctive national and international awards. Advisors at UC-Boulder take a holistic approach to comprehensive student care on campus, offering drop-in office hours and peer-to-peer and online counseling options. UC-Boulder is one of the most active college campuses in the nation, serving a student body of more than 30,000 with over 400 sports, recreation, and student government groups. The school has an 18:1 student-faculty ratio and a retention rate of 86%. CSU-Fort Collins (just north of Denver), is home to a student body of more than 27,000 (25% of whom are first-generation college students). For undergraduates, the university offers hundreds of majors, minors, and concentrations spanning seven academic interest areas. Graduate students may pursue a degree or certificate in 14 fields. Students aren't required to declare right away; the "undeclared exploration" advising track keeps students' options open. A customized study plan is available through each student's academic advisor. The university is among 68 land-grant Colorado colleges developed under the Morrill Act of 1862; the college opened to an inaugural freshman class of 20 students in 1879. CSU-Fort Collins offers a diverse selection of academic programs on campus and is committed to promoting student engagement through a variety of environmental programs involving climate-smart agriculture. The school is a Carnegie Research Extensive University. Some online programs have classroom components. CU-Anschutz, located in Aurora, serves nearly 19,000 students pursuing health professions. The school offers 739 courses over 43 degree programs. Anschutz is among the nation's newest health sciences campuses, with state-of-the-art healthcare learning facilities and two recently constructed hospitals. The university has awarded more graduate degrees than any other public Colorado college. Academic programs offered at UC-Anschutz include medicine, nursing, public health, dental medicine, and pharmaceutical science. The university has recognized more than 35 Fulbright Scholars for their contributions to medical research, cultural studies, and other international interests. The Anschutz branch of CU is affiliated with the the University of Colorado Hospital, Children's Hospital Colorado, and University Physicians, Inc. Sports and recreation activities at UC-Anschutz includes equipment rental, personal training, and more. School accolades include creating a vaccine for shingles and discovering that naturally occurring blood proteins prevent the AIDS virus from reproducing. University of Denver, known as DU, was founded several years after the city of Denver was established, in 1864. DU is among the best private colleges in Colorado for its diverse programs rooted in ethics and social responsibility. The university's 125-acre campus, just south of downtown Denver, is home to more than 11,500 students hailing from all 50 U.S. states and a number of foreign countries. Students may choose from over 100 undergraduate and 120 graduate programs in 25 academic areas, including the University College for online learning. Majors range from business and social work to theater. Committed to statewide and global environmental conservation and sustainability efforts, the university is the largest wind-energy buyer among state colleges, and reduced its carbon footprint by 27% between 2006 and 2015. DU's campus has been officially designated an arboretum site. Established in Greeley in 1890, Northern Colorado encompasses two main areas, the original Central Campus and the more recent West Campus addition. Residence halls on the Central Campus are among the state's designated historic districts. The university is home to a student population of nearly 12,000, 34% of whom are first-generation college students. More than 200 undergraduate and graduate programs are offered across six academic colleges, with additional programs available through UNC's extended campus sites and online. Popular majors include education, interdisciplinary studies, and nursing. Notable alumni includes NFL wide receiver Vincent Jackson, Author James A. Michener, and ESPN reporter Ed Werder. UNC's campus has been named a Bronze Bike Friendly University and received recognition for its military friendly status and environmental stewardship. Northern Colorado's average class size ranges from 25-35 students; 60% of courses have 30 students or fewer. CSU-Global Campus was the first fully online, fully accredited, independent online state college in Colorado and the U.S. The global campus is included in a three-part Colorado State University system, with additional campus locations in Fort Collins and Pueblo. The global campus offers bachelor's degrees, master's degrees, certificates, and continuing education courses. Popular majors available to online students include business, information technology, and criminal justice. CSU-Global Campus programs feature a tuition guarantee that maintains a low per-credit rate for all coursework for the duration of the degree. The school offers affiliate programs in corporate training and institutional development, and comprehensive career advising for students entering the professional world. Other student services include library access, an online writing center, continuous technical support, and the Golden Key International Honour Society. CSU-Global offers discounted tuition to active military and veterans and has an internal task-force to address their needs. Metropolitan State was founded in 1965, and the university awarded 60 bachelor's degrees for the first time in 1969. Today, the university offers degree programs and certificates in nearly 60 majors across four academic areas: business, education, professional studies and letters, arts, and sciences. An individualized study option is available with the approval of an academic advisor. MSU is among the best colleges in Colorado and among national public universities for its innovative urban programming and training options. The university is among only 5% of business schools worldwide to earn the AACSB accreditation, and was designated a STEM-Jobs Approved University in 2015. On campus, students may participate in more than 120 student clubs and organizations, including Greek life, community "give back" projects, and student travel opportunities. MSU is home to more than 200 student-athletes and more than 16 sports in the NCAA Division II and the Rocky Mountain Athletic Conference. Regis is the only Colorado college founded in the Jesuit Catholic tradition, and among only 28 Jesuit higher learning institutions across the U.S. The university hosts several satellite facilities in Colorado Springs, Thornton, and the downtown Denver area. Regis offers hundreds of majors and programs, from bachelor's degrees to doctoral study. Programs are offered from the school's five colleges and span business and economics, liberal studies, computer and information sciences, healthcare professions, and pre-professional training. More than 11,000 students attended Regis during the 2015-2016 academic year. The university has been visited by 14 nobel laureates during the past decade. Students on campus looking to make the most of their scenic surroundings may take part in unique outdoor adventures and wellness and recreation activities organized by Regis clubs. The school is home to more than 12 NCAA Division II sports and seven academic honor societies. Colorado Mesa encompasses three campus locations in, and around Grand Junction, Colorado. The main campus in Grand Junction is supported by two additional locations in Bishop and Montrose, serving a total enrollment of over 10,000 students. The school offers more than 71 undergraduate programs across 12 academic departments and liberal arts disciplines. Majors range from art and design to health sciences and teacher education. All undergraduate students are invited to participate in the annual student showcase. It gives students the opportunity to present a work of their choice to peers, faculty, friends, and family; and earn awards for their creativity, research, and/or entrepreneurship. The school's Colorado campuses are home to more than 660 student athletes in more than 25 men's and women's NCAA sports, and dozens more co-ed and men's and women's club sports teams. The school offers study in eight languages and study-abroad programs in over 50 countries. UCCS campus life is enviable for its ideal location at just the right altitude to yield a mild climate and sunshine for 300 days out of the year. Campus activities make the most of Colorado Springs' cultural and educational enrichment opportunities, serving more than 12,000 students in what was recently named one of the best cities to live in in the U.S. UCCS is among the fastest-growing universities in the state, with more than 70 bachelor's, master's, and doctoral programs available. Top majors at UC include inclusive elementary education, nursing, and homeland security. Campus facilities include a gallery of contemporary art, a public arts/music collective, and over 170 student clubs and organizations. Undergraduate, graduate, and graduates certificates are offered online. Notable alumni of UCCS includes olympic speed skater Apolo Ohno, world champion wrestler Adeline Gray, and past Colorado State Senator John Morse. Colorado Christian, established in 1914, is home to over 7,000 students at its scenic Lakewood campus. The university is among the only interdenominational Christian colleges in Colorado and the only evangelical university within the Rocky Mountain region of the state. CCU offers more than 100 Christ-centered degree programs, on-campus and online. Traditional majors range from business and computer information systems to psychology. The school offers programs in theology, worship arts, and youth ministry. All students are assigned a personal advisor for the duration of their degree, to guide their academic studies, encourage community engagement, and prepare for life after graduation. More than 15 unique clubs and organizations are offered on campus, including a worship-arts club, student-led ministry, a "Best of Colorado" tour group, and numerous intramural sports. Included among the school's alumni is numerous state politicians, authors, and athletes. Johnson & Wales occupies 26 acres at its Denver campus. The university hosts numerous additional locations throughout the U.S., in Providence, Miami, Charlotte, and online. The Denver campus is the smallest and most traditional location of all in the JWU system, serving just 1,390 students. JWU-Denver offers liberal arts programs in a variety of majors, including professional programs in business, engineering and design, and health and wellness; the university offers a wide range of diverse majors and specializations in culinary arts and hospitality. There are more than 40 student clubs and organizations on campus; more than 25 are student-led, including student government, arts and culture clubs, and outdoor outings and adventure tours. JWU is home to 11 NAIA varsity sports and offers more than 40 study-abroad options spanning six continents. JWU Denver has developed its professionally focused academic learning model over the last 100 years. For the 20,000 students earning a degree at Colorado Mountain, studying on campus comes with many perks for "outdoor types." With three residential, and seven community campuses across the state, CMC is among the best colleges in Colorado for integrating wilderness adventures and exploration into its diverse academic offerings. Located amongst miles of national forest, the college is surrounded by 16 ski resorts and six wilderness areas. CMC offers five bachelor's degrees in majors ranging from business and education to nursing. Students may choose a personalized major in ski lift operations or ski and snowboard business. Learners can pursue an internship in culinary arts in surrounding Vail Valley. CMC hosts an alpine ski team and running club on campus; the school sent eight of its student athletes to the 2014 Sochi Olympics. CMC features a 13:1 student-faculty ratio. Fort Lewis' campus looks out over the Animas River Valley and the city of Durango at nearly 7,000 feet above sea level. The school is among the most unique colleges in Colorado for its distinctive architecture and construction; each building on campus incorporates locally sourced sandstone in the Native Puebloan style. Fort Lewis has a student body of 3,324, and includes learners from 48 states and 170 Native American tribes and Alaska Native villages. The university is home to five Colorado professors of the year in numerous academic subjects; 98% of faculty have terminal degrees in their respective fields. More than 44 majors and programs are available to undergraduate and graduate students across six major academic areas including arts, education, humanities, and more. Popular majors include art and design, biology, and business administration. Students on campus may participate in more than 60 diverse student-led activities, ranging from outdoor adventures and American Indian STEM groups to Tae-Kwon Do. Western's campus is nestled in the Gunnison Valley, deep in the heart of the Rocky Mountains. The university is surrounded by 1.7 million acres of public land with world-class recreational opportunities at Crested Butte Mountain Resort, Hartman Rocks Recreation Area and Blue Mesa Reservoir nearby. Undergraduates can choose from more than 90 areas of study, including majors in Environment & Sustainability, Recreation & Outdoor Education, Wildlife Biology and Business. Western also offers a variety of graduate programs, including an M.S. in High Altitude Exercise Physiology and the nation’s first Outdoor Industry MBA. Small class sizes and affordable tuition have earned the school its reputation as a private college experience at a public university cost. Western serves a student population of 2,900, nearly half of the entire population of the town of Gunnison. Campus activities include the active Multicultural Center, a one-of-a-kind Mountain Sports Program, the nation's only college-based mountain rescue team and more than 50 other clubs and organizations. Nazarene, founded in 1967, provides higher learning programs in the Nazarene tradition to prepare its students for ministry and lifelong Christian service. The school is the only college in Colorado to offer Nazarene education and one of only 10 higher education institutions nationwide to offer programs in the Nazarene tradition. NBC is one of two national schools to focus exclusively on ministry preparation programs. Degrees offered include an associate and bachelor of arts in ministry; certificates, minors, and continuing education courses are also available. Students may complete coursework on campus or online in many majors with unique concentrations. Common majors range from early childhood education and biblical languages to Christian counseling. The university's Colorado Springs campus is home to a diverse community of 1,250 students, the majority of whom fall in the 30-49 age range. NBC offers weekly chapel services on campus, and through a streaming video feed exclusively for distance learners. CSU-Pueblo's location sits on a 275-acre campus 100 miles south of Denver. CSU-Pueblo has continued construction on a number of campus buildings since joining the CSU system in 2003, including a newly renovated library and multi-million-dollar expansions of the school's academic facilities. CSU-Pueblo offers more than 50 majors and programs to an enrollment of nearly 5,300 undergraduate, graduate, and online students. Unique academic programs include Chicano studies, military science and leadership, and organ performance studies. The school hosts 70 student clubs and organizations, incorporating a range of interests and audiences, including anime, ROTC, and Greek life. CSU-Pueblo is home to numerous NCAA Division II athletic teams and offers club sports, intramurals, and a dedicated Outdoor Pursuits program for campus residents. The Outdoor Pursuits program features group-centered activities that vary in difficulty depending on each group's needs. The school has an average class size of 25. Located in the San Luis Valley in Alamosa, Adams State serves a student-body of more than 2,500 on campus; an additional 10,000 students are enrolled in the Colorado college's extended learning programs off-campus and online. Adams offers dozens of undergraduate and graduate programs in a variety of academic areas ranging from business and science to humanities and the arts. Standout majors include adventure leadership and programming, sport psychology, and counselor education. Adams has numerous NCAA Division II and Rocky Mountain Athletic Conference sports teams and offers an Outdoor Program that encompasses extracurricular intramural sports, including skiing, rafting, and mountaineering activities. Sixty student clubs and activities are offered on campus. Adams State features its own recreational area called "The Loft," a local chapter of Cultural Awareness and Student Achievement, and United Campus Ministry. Adams is part of the statewide transfer articulation agreement; students who have earned an associate degree through a Colorado community college can transfer to a four-year institution with junior status. Located in Boulder, Colorado, Naropa University traces its history back to 1974. As a small institute, it welcomed such famous writers as Allen Ginsberg and Gary Snyder to conduct summer classes. Naropa now stands as a fully-accredited university that offers a variety of academic programming, including undergraduate degrees like elementary education, visual arts, and environmental studies. Graduate students also have a variety of degree options, such as in divinity, resilient leadership, and clinical mental health counseling. Naropa stands out from other colleges in Colorado for its creative writing programs, which range from degree options to summer workshops. Naropa also has a robust distance education platform that provides online asynchronous classes and low-residency programs. With this option, students complete most of their coursework remotely and attend intensive campus sessions for practicum experience. All applicants may apply, however those with lower GPA averages must submit additional documentation to reflect college readiness. Two-year schools offer a quality education for a fraction of the price four year schools charge. Offering associate degrees, vocational training and prerequisites for four-year schools, two-year colleges are an attractive option for students from a variety of backgrounds. Additionally tuition rates at two-year schools in Colorado are lower than the national average, making school even more affordable. The Colorado Community College System oversees the bulk of two-year programs in the state. Schools in the system awarded more than 17,000 degrees for the 2013-2014 school year, and nearly 12,000 graduates moved on to a four-year college upon finishing their program. Whether you want to save money or spend a bit more time evaluating your career options, a two-year school can build your educational foundation. Below, you can see our ranking of the best two-year programs in the state. A member of the Colorado Community College System, PTC offers more than 50 professional certification programs in diverse fields such as landscaping, transportation, human services and arts. Targeted at both high school students and adults, PTC emphasizes relevant technical education for high-demand, high-paying careers, training students in skilled trades that provide employment opportunities immediately upon graduation. Students can work with the college Career Services office to locate job opportunities quickly and easily. PTC maintains a working relationship with Aurora Community College, allowing students to begin credits for an Associate of Applied Science degree at PTC and then seamlessly transfer to complete their degree at ACC. Students take designated occupational and technical courses at ATC before transferring to ACC for general education courses and other degree requirements. PTC also accepts credit transfers from other Colorado community colleges in the state system, as long as the appropriate transcripts are provided. Based in the town of Fort Morgan in Colorado's Eastern Plains region, MCC is committed to both student and community needs, with a campus culture based around trust, respect and responsiveness. The school's degree programs and certificates are attuned to the economic needs of the region, with options ranging from agriculture and automotive repair to aviation science and mechanical maintenance. MCC is one of the only Colorado colleges that serves the state's Eastern Plains, and along with its main campus in Fort Morgan, it also maintains auxiliary campus locations in Bennett, Burlington, Limon and Wray. Students at MCC have access to a range of campus resources, including the bookstore, career resources and the Student Support Center, which provides free drop-in tutoring for most academic subjects. The Academic Advising office can also help with degree and course selections, allowing students to plan the most effective strategy for their education. Based in city of Lakewood (west of Denver), RRCC offers a range of two-year degrees in high-demand careers, including Speech Language Pathology, Fire Science, Computer Technology and more. For students interested in immediate career advancement, the college offers many degrees that lead to direct employment. Students interested in pursuing a four-year degree can enroll in one of the college's many Designated Transfer Degrees, which are intended to carry over to four-year institutions. In 1991, RRCC established the Red Rocks Community College Foundation, a non-profit organization that offers scholarships and grants in support of students. The Foundation also awards faculty excellence and endows Faculty Teaching Chairs. The school is the only institution among all community colleges in Colorado to maintain a Teaching Chair program, and RRCC receives praise for the quality of its faculty. Despite its academic reputation, RRCC's tuition is among the lowest in the state. Serving northern Colorado, ACC maintains four campus locations in Greeley, Fort Lupton, Loveland and Windsor, serving a total of more than 7,000 students through campus and online programs. Greeley is home to the college's main campus, and many of its clubs, activities and organizations are based there, ranging from professional organizations like the Student Nursing Association to creative groups such as Art in Action and the Creative Writing Club. ACC also maintains a campus television station and radio station, both of which offer students opportunities to gain experience in broadcast media. With over 160 degree and certificate programs, ACC is one of the most expansive community colleges in Colorado, offering programs ranging from Construction Site Management and Emergency Medical Services to Political Science and Women's Studies. ACC also offers academic resources that guide students through every step of their education, from orientation to academic advising to graduation services. Serving more than 11,000 students, CCA is one the largest community colleges in Colorado, operating campus locations in both Aurora and Denver. The college boasts some of the cheapest tuition in the state, but students can also apply for several scholarship opportunities, including a First Generation Scholarship and specific department scholarships for fields such as Business, Early Childhood Education and Health Sciences. Focused on both professional training and academic transfer, CCA offers several unique degree programs such as Diesel Mechanics, Fire Science Technology and Paramedicine. For students interested in Paramedic, EMS and Police training, CCA boasts the largest Simulation Center in the state. The school also offers several specializations in Film/Video Media through the Colorado Film School, including Cinematography, Post-Production, Screenwriting and Directing. The Hollywood Reporter has named the film school as one of the top 25 in the country, praising the opportunities available for graduates in the media industry. With more than 27,000 students, FRCC ranks first in enrollment among all community colleges in Colorado, and the school maintains campus locations in Longmont, Fort Collins, Loveland and Brighton, along with a substantial set of online programs. FRCC offers dozens of degree programs, including both academic and career preparatory programs. Students can earn degrees in several unique subjects, including Fermentation Sciences, Music and Recording Arts Technology, Paralegal Studies and Welding Technology. For those interested in pursuing a four-year degree, FRCC is the top transfer institution for many of Colorado's best colleges, including Regis University, the University of Colorado and Colorado State University. FRCC's gtPATHWAYS transfer program ensures that students who earn their associate's degree can transfer credits to any accredited four-year college in the state. The school can also help students locate scholarship opportunities specifically for transfer students. Founded in 1925, TSJC is one of the oldest and most respected two-year colleges in Colorado. The school operates a main campus in the town of Trinidad (near the New Mexico border) as well as a satellite campus in Alamosa, serving a total student population of around 1,800. In addition to standard subjects like English and Biology, TSJC offers several distinctive degree programs, including Aquaculture, Welding, Cosmetology and Massage Therapy. The school also maintains a unique Gunsmithing program that is one of the oldest and most respected in the United States. TSJC maintains strong athletic programs, including men's and women's soccer, men's and women's basketball, men's baseball, women's softball and women's volleyball. TSCJ has produced several notable alumni in professional football, basketball and baseball, including MLB pitcher Danny Jackson, who won the World Series with the Kansas City Royals in 1985. Located just outside of Denver in the town of Littleton, ACC opened in 1965 as the first community college in the metro area. With nearly 100 degree and certificate programs, ACC is one of the best community colleges in Colorado, offering small class sizes and some of the most affordable tuition in the state. For students interested in four-year degrees, several programs at ACC transfer directly to undergraduate institutions, including Elementary Teacher Education, Philosophy, Fermentation Sciences and Geology. The college also offers a range of terminal degrees that prepare students for skilled careers such as Cybersecurity, Fitness Instruction, Mortuary Science and Music Audio Technology. In addition to academics, ACC boasts an active community that includes multitudes of student clubs and organizations both recreational and academic. Other campus attractions include two art galleries, a string orchestra, a jazz ensemble and a fully equipped fitness center. Based in the city of Sterling, NJC is the largest residential community college in Colorado, with dormitories housing 575 students. The college offers both transfer and non-transfer associate's degrees in a range of subjects, including unique fields such as Equine Science, Forensics, Respiratory Care and Wind Energy Technology. An innovator among two-year colleges in Colorado, NJC transitioned to an iPad-integrated campus in 2015. Enrolled students use iPads that enhances individual and collaborative learning, allowing students to share information, create study aids, take notes and more. NJC's campus is now equipped to allow iPad usage in classrooms, labs and shops. The school's main campus is also home to the Jackson Edwards arena, a fully functional sporting arena that hosts volleyball and basketball games throughout the year. The arena is also home to concerts, conventions and other large group events. Founded in 1941 in the town of La Junta, OTC is one of the oldest community colleges in Colorado, dedicated to education that fosters community development and expands employment opportunities. The school maintains dozens of degree programs for both career and academic preparation, along with several professional certificates. OTC offers a range of arts and sciences degrees designated for transfer to four-year institutions, including Studio Art, Political Science, Soil and Crop Science, Horticulture and Animal Science. For students interested in career training, the school has Associate of Applied Science degrees in Agriculture, Business, Medical Laboratory Technician and Nursing. Campus students at IJC can join a range of clubs and groups, including the Phi Theta Kappa national honor society and the Otero Players theater group. OJC is dedicated to the rich cultural history of Colorado, and the school's campus is also home to the Koshare Indian Museum, a collection of Pueblo and Plains tribes artifacts. Operating out of three main campuses in Colorado Springs, PPCC is one of the largest community colleges in Colorado, with an enrollment of more than 20,000. Founded in 1968, the school now offers more than 150 programs in arts, sciences, career and technical fields, ranging from Architecture and Automotive Technology to Dietary Science and Wildland Firefighting. For students who are uncertain what they want to study, PPCC offers a course and degree selection wizard that can match students to potential academic or professional paths based on their interests. PPCC also maintains two satellite locations at military bases, and the college focuses heavily on education for current and former service members and their families. Military students can gain credit for a range of prior learning activities, including service, work experience and even life experience. Military students also have access to range of exclusive scholarships and tuition reduction programs. Pueblo Community College was founded in 1933 as an institution dedicated to providing affordable career training and academic programs. Aside from degrees in the arts and humanities, students enjoy a host of certificate and associate degree options in the STEM fields, including healthcare services and advanced manufacturing. PCC also provides dedicated transfer pathways for those who want to earn their bachelor's after graduation. Additionally, nontraditional students can access distance education options, which includes three fully online degrees earned through flexible asynchronous coursework. PCC stands out among other community colleges in Colorado as an open access school, enabling all persons -- regardless of their background -- the opportunity for high-quality education. Tuition rates are assessed based on residency status, and learners are eligible for grants, scholarships, work-study positions, and other forms of financial aid. Student resources include pro-tutoring services and the school's state-of-the-art STEM Center. Students can also gain hands-on learning experience by participating in the President's Leadership Program or by joining one of many campus clubs and professional organizations. Based in northwestern Colorado in the towns of Craig and Rangely, CNCC also maintains two service centers in Meeker and Oak Creek. Offering its first classes in 1962, today the school serves around 1,000 students across its two campuses, offering a range of arts, sciences and technical education programs. CNCC boasts several degree programs that are unique among Colorado community colleges. For students interested in transferring to four-year college, the school offers Designated Transfer Degrees that are eligible for transfer to almost any four-year Colorado institution, with programs in History, Psychology, Business, Agriculture Business and Animal Science. CNCC also maintains certain degrees with designated Plans of Study, which prepare students for specific four-year degrees. The school's Marine Science program, for example, maintains an articulation agreement with Hawaii Pacific University that allows students to transfer there to complete a four-year degree. CCD offers a variety of associate degrees, certificates, and diplomas at some of the lowest tuition rates in the state. The school serves both nontraditional learners and high school students who want to develop the skills needed to pursue the most in-demand occupations in the region. The school operates two campuses and a manufacturing center in the Denver metropolitan area. Students earn associate of arts degrees in art, communication, English, and a variety of foreign languages through the Center for Arts and Humanities. CCD offers an array of associate of applied science options that prepare students to pursue careers in fields such as accounting, graphic design, business technology, and criminal justice. There is also an AAS in business administration that offers concentrations in marketing, management, and real estate. Finally, the school's Center for Health Sciences, located on the Lowry campus, administers robust programs in fields such as medical assistant, dental hygiene, radiologic technology, and surgical technology. Founded in 1935 around values of respect, integrity, communication and value, LCC now serves over 1,000 students from its campus in Lamar, located in southeast Colorado. One of the oldest two-year colleges in Colorado, LCC is relatively small but serves a four-county area, attracting students from all over the state due to its reputable academic and professional programs. Offering associate's degrees in arts, sciences, business and professional skills, LCC maintains five programs intended for transfer to four-year colleges: Agriculture Business, Animal Science, Business, Criminal Justice and Soil and Crop Sciences. The college also offers several unique professional degrees in areas such as Cosmetology, Renewable Energy Technologies and Welding Fabrication, preparing students for employment in skilled trades immediately upon graduation. LCC is also notable for its unique equine-related degree programs, including Equine Business Management, Horse Training and Management and Barrel Horse Training. If you're thinking about applying to one of the best colleges in Colorado, continuing reading to learn more about living in the Centennial State. A Four Corners state, much of Colorado lies atop the southern portion of the Rocky Mountains. The state is an outdoor lover's paradise: with 42 state parks and a couple dozen elite ski resorts, there is plenty to do outside, no matter the season. Cultural enthusiasts won't be disappointed either, as museums, modern restaurants and professional sports teams dot the state's landscape. The sheer diversity of Colorado, in its attractions and population demographics, makes this a vibrant state to pursue your post-secondary education. The Denver-Boulder region is home to many of Colorado's schools, though you'll find plenty of campuses in college towns located throughout the state. In order to establish residency in Colorado and gain in-state tuition, you must have lived in the state for at least one year. To legally qualify for residency, you must be 22 years old or have emancipation from your parents. If you attended at least one year of secondary schools in Colorado, you are qualified to receive in-state tuition. Adult students over age 23 cannot qualify for state residency through their parents.